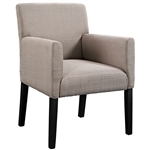 Wood guest chairs can be used to effectively promote the visual appeal of your guest waiting room, lounge, and lobby. Office Furniture Deals offers best selling wood guest chairs, armchairs, and side chairs for sale online from brands like Global Total Office, Mayline, and Flash Furniture. All of the wood guest seating for sale here is available with free shipping and bulk discount pricing for added value. Need help selecting the right wood chairs for your interior? Contact our seating specialists today at 800-456-6746. In addition to the wood guest chairs listed here, we offer custom finish and upholstery options designed to help you put a personal touch on your space. Your Price: $554.75 + FREE Shipping! Your Price: $266.50 + FREE Shipping! Your Price: $412.25 + FREE Shipping! Your Price: $336.00 *Quantity Discounts Available! Your Price: $218.00 *Call for Additional Savings! Your Price: $393.99 + Free Shipping! Your Price: $636.99 *Call for Lowest Price!